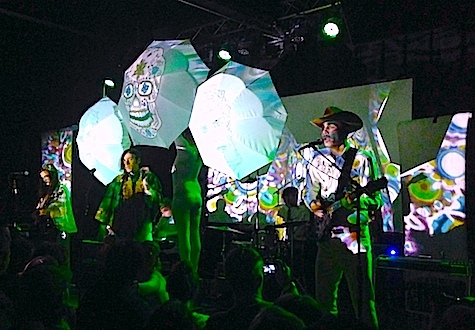 Of Montreal at The Waiting Room, Nov. 2, 2013. The band plays at The Waiting Room Sunday night. It’s drop day for Conor Oberst’s solo album, Ruminations. In the old days, drop day meant when you could go out and buy a copy of the record. These days drop day means you can now listen to the new album on Spotify and the other streaming services. Rolling Stone gave the album 3.5 stars. AV Club, B+. NME: 4 out of 5. All Music: 3 stars. Drowned in Sound: 9 out of 10. The Album of the Year composite score is 69. As a whole, the reviews have been positive, pointing out that it’s a stripped-down, personal record, which it is. I do like the record, but it’s not likely to be something I’ll be reaching for very often. These are very sing-songy efforts, which I guess means they sound like the chords came first and he merely sang lyrics over them in the most comfortable, obvious way. You will not be surprised by the musical direction of any song. But that said, some of these songs will resonate more over time, especially combined with his overall songbook. He now has the acoustic solo album out of his system. What will he do next? Let’s look at the weekend. The only major show is Sunday. We’ll get to that. Tonight Chemicals opens for CJ Mills at Reverb Lounge. If you haven’t caught a Chemicals set, you’re missing out. $7, 9 p.m.
Also tonight, Blue Bird headlines at fabulous O’Leaver’s with St. Paul band Communist Daughter and Satellite Junction. $7, 9 p.m. Tomorrow night (Saturday) California garage rock veterans Ex-Cult (Goner, In the Red, Lollipop Records) headlines at Milk Run. Joining them are No Thanks and one one other TBA superstar. $10, 9 p.m. Meanwhile, at O’Leaver’s, Lodgings headlines Saturday night with Sean Pratt and Brazen Throat. $5, 9:30 p.m.
Also Saturday night, singer/songwriter Mitch Gettmann headlines at the Down Under Lounge, 3530 Leavenworth. Mike Saklar’s Sunless Trio also is on the bill, along with Disquieting Muses. No price listed, 9 p.m.
And Satchel Grande celebrates its 10 year anniversary at The Slowdown Saturday night. Rothsteen opens. 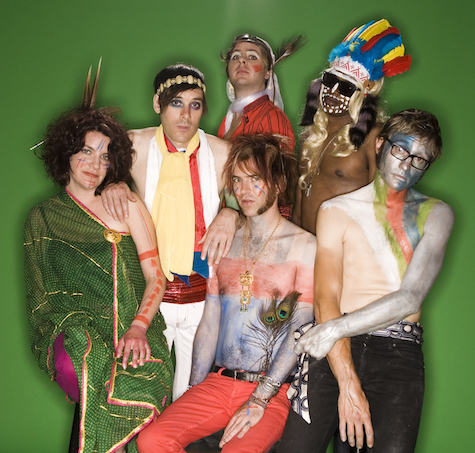 $8, 9 p.m.
Of Montreal plays at The Waiting Room Oct. 16. That’s all I got for this weekend. If I missed your show, put it in the comments section. Have a good one. totally blew it by not mentioning this show Tim :/ this show is RIGHT up your alley!